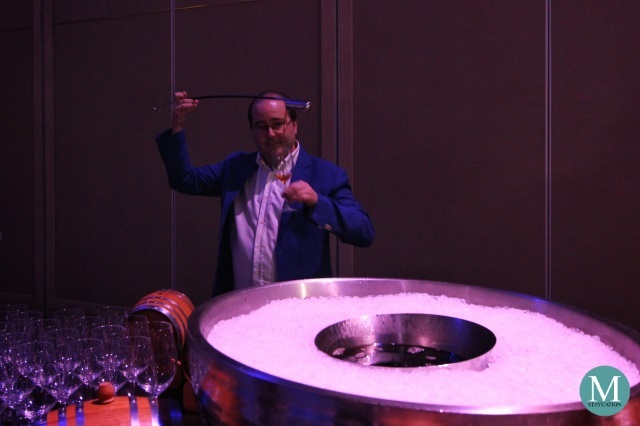 Following the global launch of The Table from Golden Circle, the Shangri-La Manila Properties comprised of EDSA Shangri-La Manila, Makati Shangri-La Manila, Shangri-La at the Fort Manila, and Hotel Jen Manila, organized a local media launch of this new food and drink loyalty program. Metro Staycation received an invite to take part in this exclusive event held at the Grand Ballroom of the brand new Shangri-La at the Fort Manila. 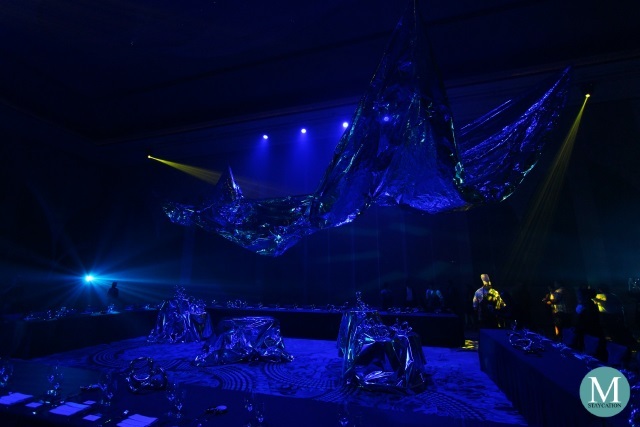 All four Shangri-La properties participated in the preparation of this grandiose event that treated guests with an interactive dining experience featuring well curated dishes served in a themed setting that embodies each of the five dining moods of Shangri-La's The Table concept. 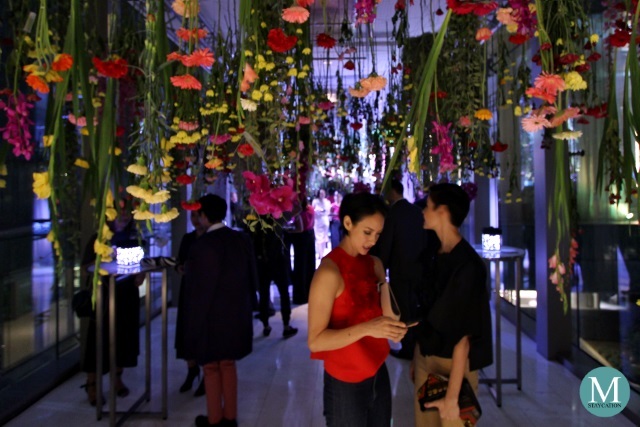 The evening started with an intimate pre-dinner cocktails set in a bridgeway which was magically transformed into a romantic hanging floral garden where flavorful dishes prepared by the top chefs of the four Shangri-La properties were generously served to the guests. Drinks were served as soon as we found a cocktail table to share with our blogger friends. Mixologist par excelance Ulysse Jouanneaud was present that evening to prepare the Hugo Cocktail for the guests. It was a sweet blend of wine, lemon and mint perfect for fun chats with friends. Our palates were also treated with the sensuous taste of starters such as the Organic Heirloom Tomatoes scented with Lime & Paprika and topped with Basil Espuma. The Beetroot-cured Salmon Cubes with Wasabi Cream and Pea Shots was one of the group favorites. 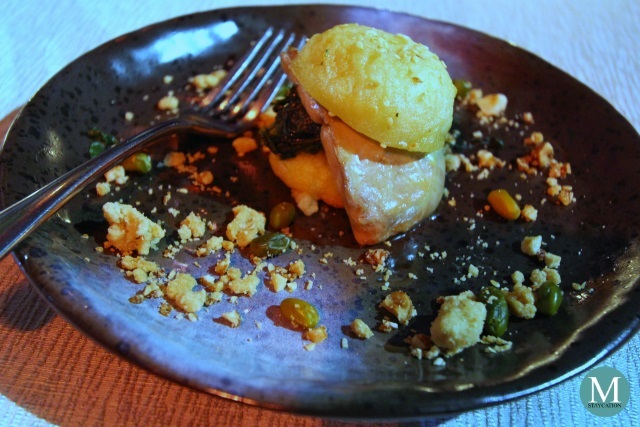 My personal favorite was the Confit Guinea Fowl with Pear Chips, Garden Greens and Herbs. 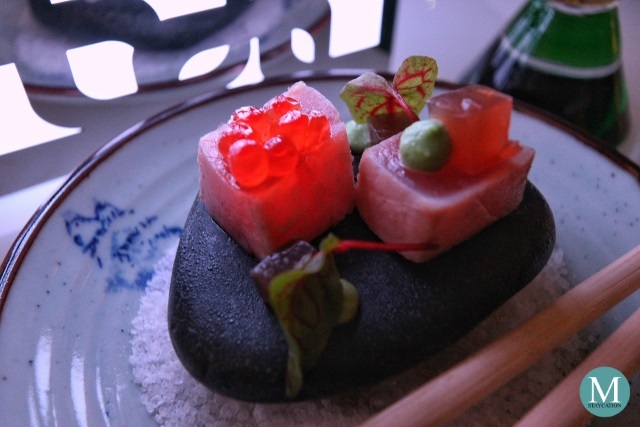 Another interesting dish was the Crusted Yellow Fin Tuna Tataki topped with White Tea Jelly and Micro Greens which was served on a chilled stone atop a bed of salt. With our appetite stimulated, we then moved to the grand ballroom for the elegant hors d'oeuvres. Mesmerizing murals of flowers matched with fragrant scented candles make for the perfect setting for a more refined dining experience. 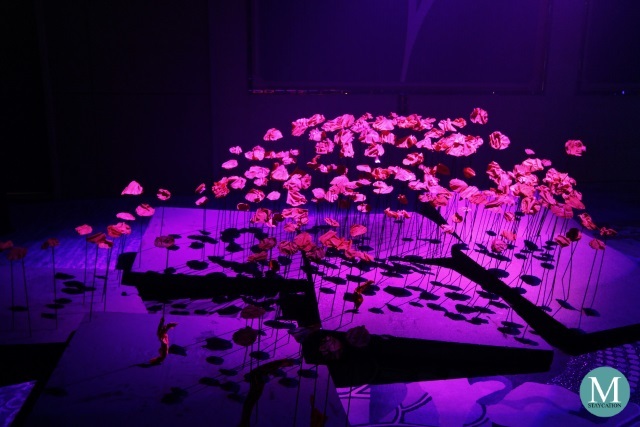 The area is divided into various sections, each highlighting the legendary Shangri-La service. 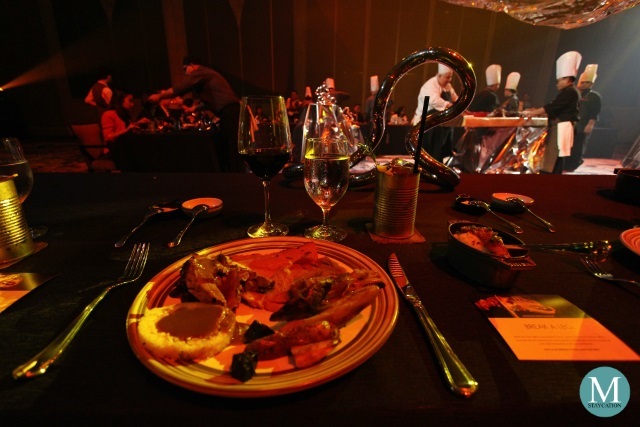 Luxury is personal, and here, guests were treated on a personal level with food prepared and served a la minute. 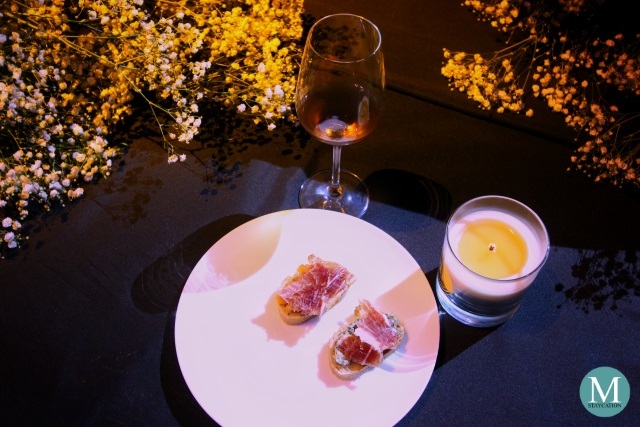 The first one I tried was the freshly carved Jamón Ibérico de Bellota served on Farmers Baguette and drizzled with Extra Virgin Olive Oil. It went perfectly well the House Barrel Aged Leyenda Oloroso Bodega M. Gil Luque Sherry expertly served by a master venenciador. 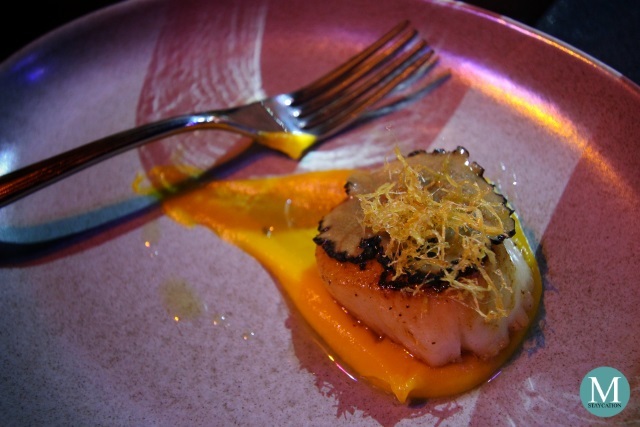 I also loved the sweet, savory and earthy combination of the Textured Hokkaido Scallop, Pumpkin and Summer Truffle. I so loved it I had two servings of this appetizer which I then paired with Veuve Clicquot Brut Yellow Label. 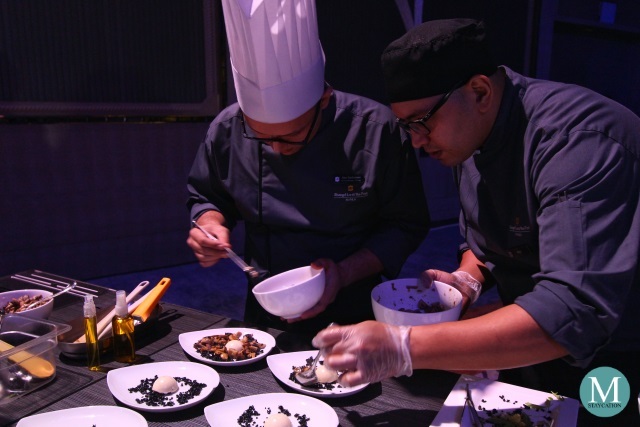 Walking towards the next food station, I noticed this tandem of chefs meticulously assembling this peculiar dish. 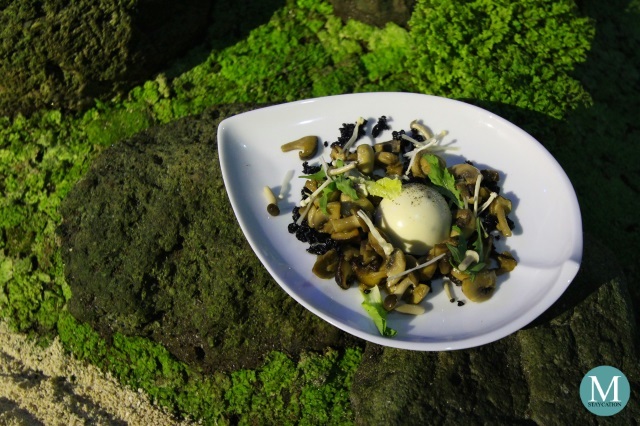 The Olive Soil, Mushrooms, Goat Cheese Sphere and Baby Leaves has a well balanced taste of earthiness and creaminess. The food station is located next to a moss and sand garden which served as the perfect backdrop for this plated delight which we paired with El Toro Loco, another cocktail concocted by Shangri-La at the Fort's Head Mixologist, Ulysse Jouanneaud. 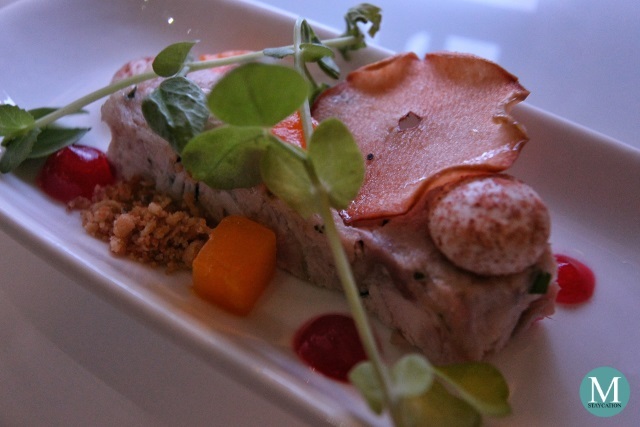 At our last stop, we were served with this very unique Sandwich of Foie Gras Terrine, Apple Confit and Candied Nuts. It had a beautiful contrast of taste and textures that perfectly blends in every bite. 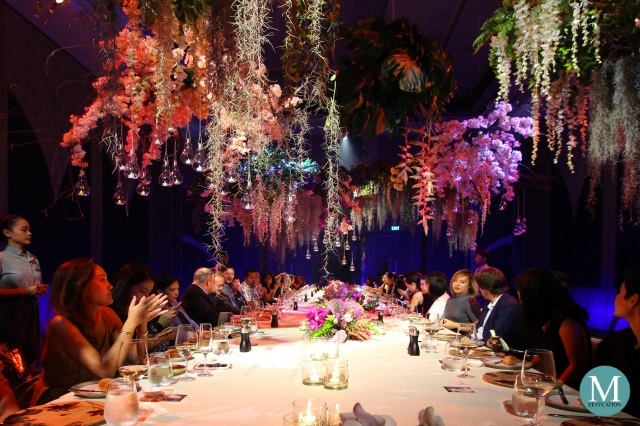 For the third act of the evening, we moved to another section of the ballroom to chill in a relaxed and casual setting where guests took comfort in a seated dining under a canopy of flowers. Already tipsy from all the wines and cocktails we had, we were again served with a glass of wine, this time, a Bodega O. Fournier Urban Uco Torrontes, a white wine originating from the Cafayate Valley in Argentina. While sipping on our white wine, music played at the background prompting the service crew to serve the first course of the evening. 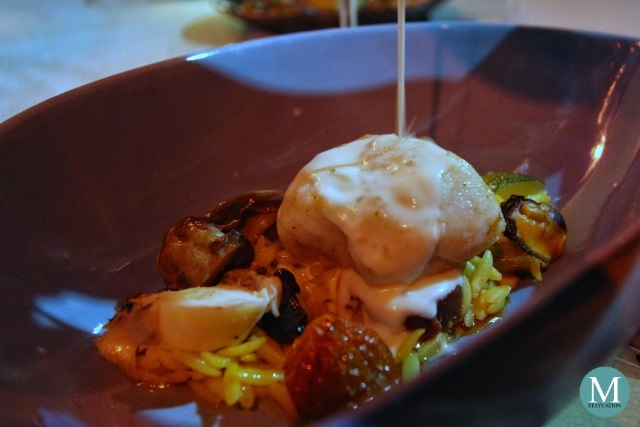 The Monk Fish Fillet, Octopus, Chorizo served on Saffron Orzo and drizzled with Pernod-infused White Wine Sauce had a clean, down-to-earth flavors that is simple and uncomplicated, yet delectable and delightful. 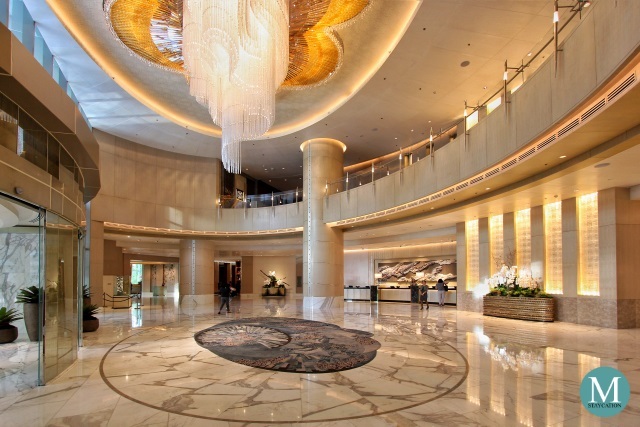 From a familiar to something surprising, that's how we felt when we entered this section of the grand ballroom. At one point it felt like a watching a rock concert, and when the lights changed from blue to red, the space transformed into a bullfight arena-ish kind of place. 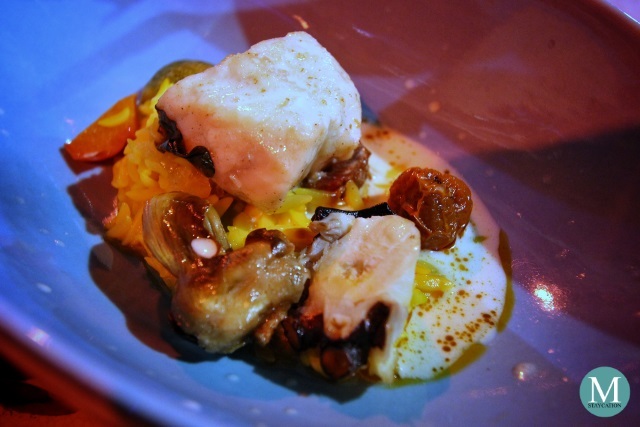 It was a total play of mind that invoked an adventurous sense of dining in us. When everyone was seated, the spectacle of the night started when a battalion of chefs paraded into the scene with a plank of wood carrying various steaks and roasted meats. 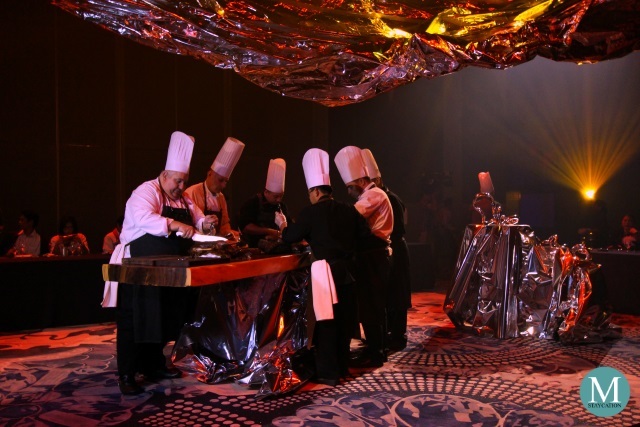 Man versus Beast, that was the exact feel of the scene when Shangri-La's top chefs started carving the monstrous slabs of roasted meats. We finally came back to reality when the chefs started serving the carefully sliced steaks to the guests. My plate contained Smoked 48-Hour Slow-cooked Prime US Beef Brisket, Chapon de Bresse braised in Champaigne with Root Vegetables and served with its own Jus, Black Angus Prime Rib marinated with Bourbon & Muscovado, and the Iberico Pork Pressa in Bomba Rice Crust with Chili, Herbs and Rioja Sauce. And of course, steak is not complete without red wine, and for this evening we paired our steaks with a Giorgio Pellisero Piani Barbera d'Alba (Piedmont, Italy). 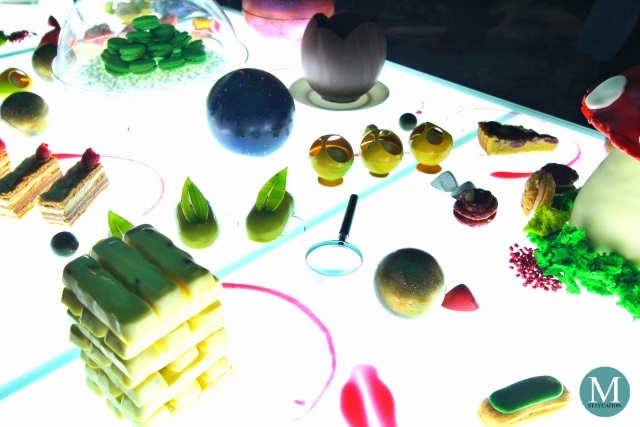 For the fifth and final act of the night, our senses were treated with an upbeat mix of colors and flavors through a dessert spread prepared by Shangri-La at the Fort's Chief Patissier, Chef Anthony Collar. 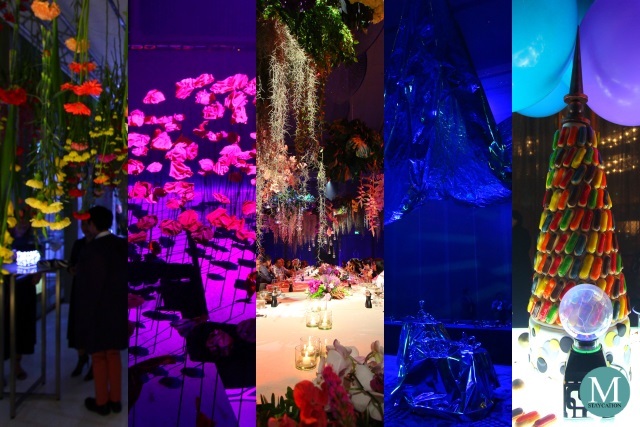 The atmosphere was lively, buzzingly colorful and very contemporary in design. It was a feast to the eye and a delight to the senses. 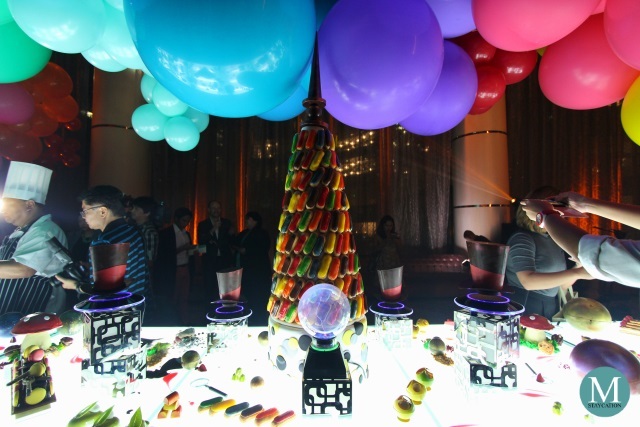 This candyland themed dessert table brings back memories of childhood. Free-spirited and sometimes careless, it is in our youth when most of our unforgettable experiences are created. 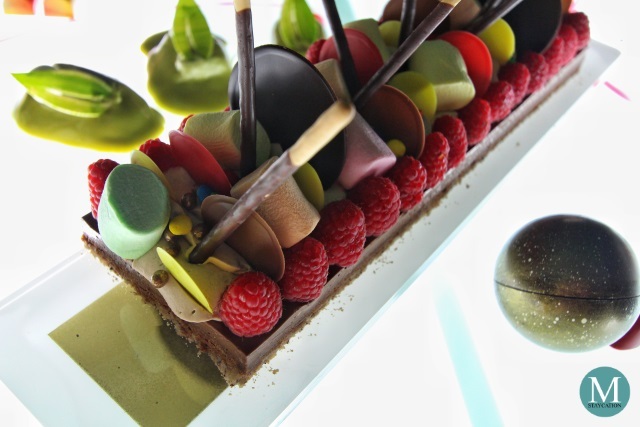 We ate to our heart's content as we sink our teeth into chocolate bars, macarons, eclairs, and mille feuille crisps. There's also a live station where you can have your icecream customized with coating and toppings. Finally, we got our caffeine fix at the pop-up Toby's Estate. 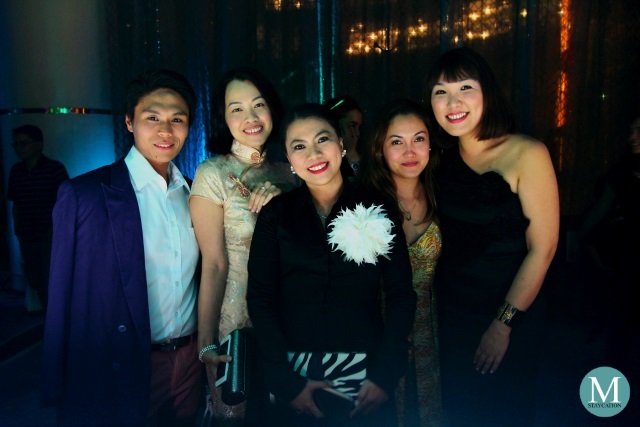 It was definitely the best dining event we have attended, truly an evening to remember. 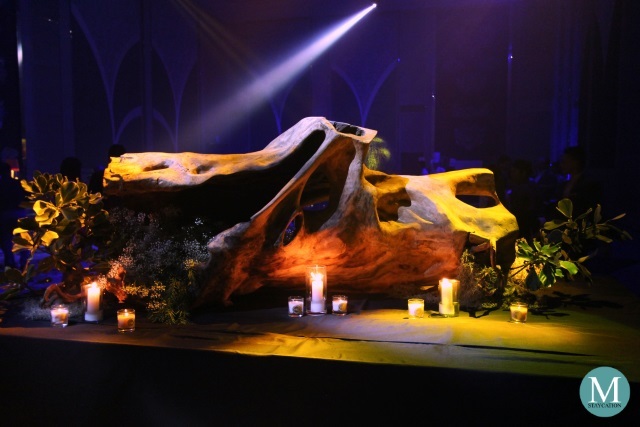 Thanks to the creative minds of Shangri-La Manila properties for curating this fantastic culinary experience. Nobody else, not even the President of the country, can bring together the best of the best chefs in the country in a single venue and create such unforgettable dining experience. 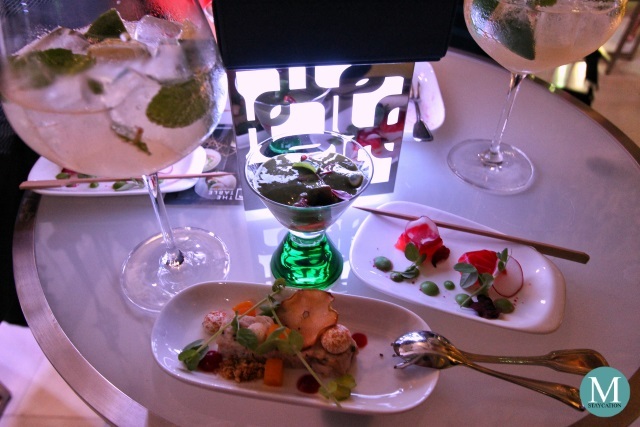 Feed Your Mood by joining The Table from Golden Circle. Allow Shangri-La to quench your thirst to discover something new, to surprise your imagination with the unexpected, and to serve you with unforgettable memories.